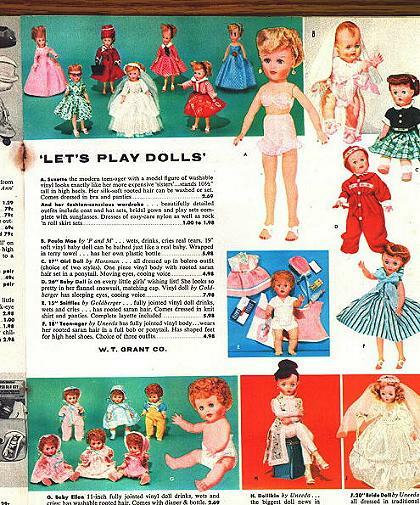 The following photos are scans of actual catalog pages showing Dollikin dolls. 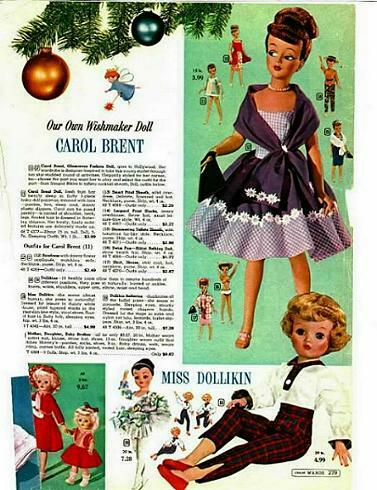 Dollikin dolls were sold in the 1957 W.T. Grants Christmas catalog. This is the earliest advertisement I have seen for the 19" dolls. In the 1958 Wards Catalog, Dollikin was available in 2 sizes, the rare 15" size as well as the 20" size. 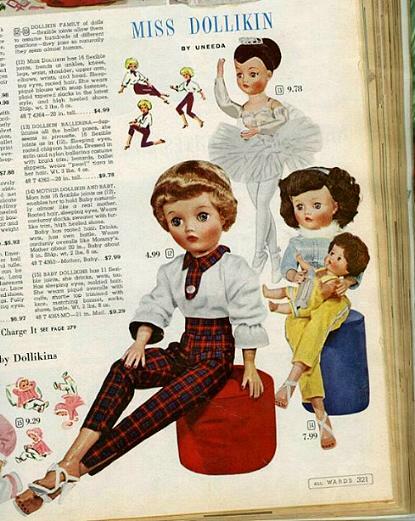 The 15" Dollikins are very hard to find and did not show up in any other years catalogs, so I'm inclined to believe they were only sold in 1958 in small quantities. 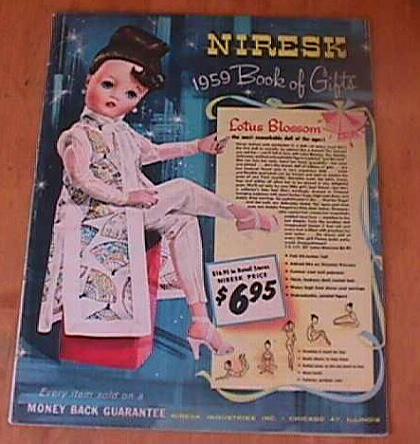 In 1959 Dollikin was featured in the Niresk Christmas catalog in her Lotus blossom outfit. In the Montgomery Ward 1960 Christmas book, Dollikin was shown as a ballerina, in the Mommy & Baby Dollikin set and in a casual slacks set. 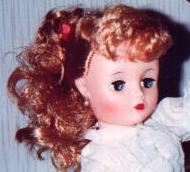 The larger 20" chubby Baby Dollikin jointed babydoll was also shown. In the 1961 Wards Christmas book, Dollikin was shown in a variation of her ballet costume as well as in a casual pants set.